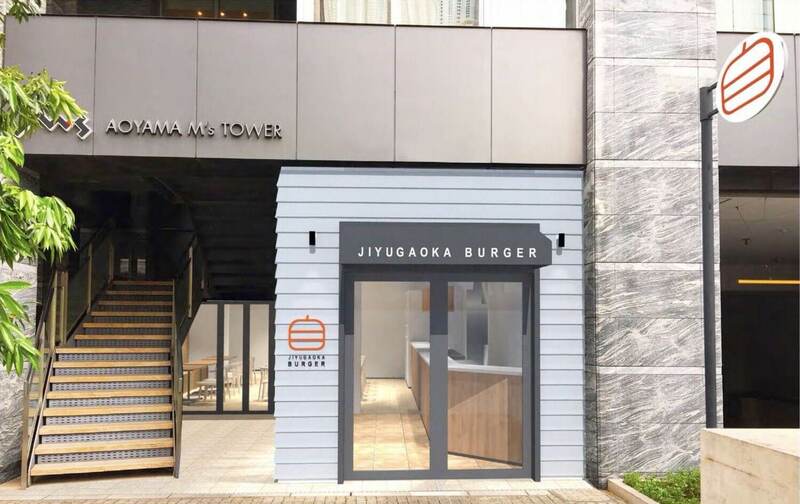 Healthy hamburger chain Jiyugaoka Burger opened its third branch in Aoyama on June 6. The restaurant’s belief is that safe food that’s healthy for your body equals in a delicious meal. All of their burgers are handmade one by one. They make their own original patties and buns and strive to use as many fresh and organic domestic products as they can. The burgers shine through in their flavour which makes full use of the ingredients used. 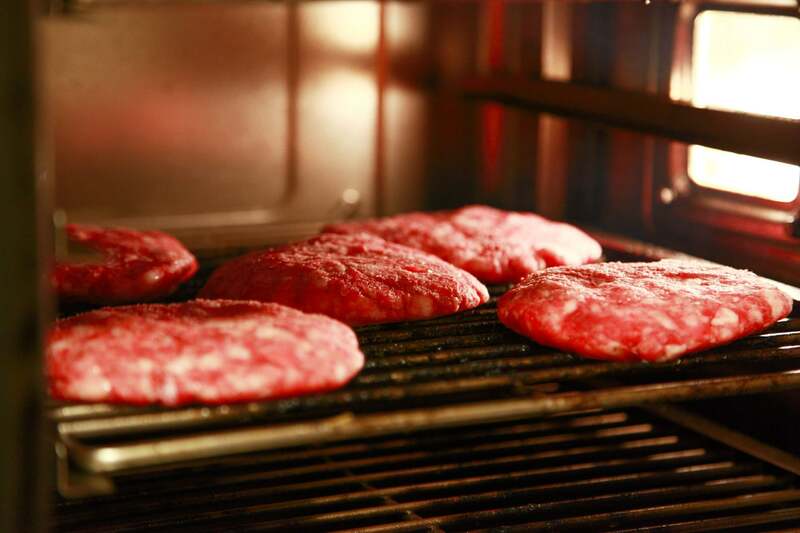 Their original patties are handmade every morning out of 3 parts each with different coarseness. They ride on the strength of each part, and by altering the roughness, create a patty with a chewy texture that locks in the flavour of the meat and juice. They are particular about their buns too. They have a winning texture that is irresistible even when you’re eating it with meat and veg between one. The restaurant uses no eggs or dairy products*, so those with allergies can rest assured you’ll be safe. *The buns are made in a factory where there is bread made with eggs and dairy products. The company is very much focused on the producing area of its vegetables and their quality. They used thick sliced sweet onions grown by Awaji Island producer Narui. Their organic potatoes are from Hokkaido Niseko Farm and are cooked with the skin on. The new Aoyama branch of Jiyugaoka Burger has a white woodwork interior and the ceilings are high giving it a sense of space and comfort. There’s a large table in the middle which accommodates up to 12 people and can be used alone or for parties at night. There’s also 4-person tables for groups or business meetings. There’s also terrace seats that looks out onto Gaien-Nishi Dori, also known as Platinum Street. 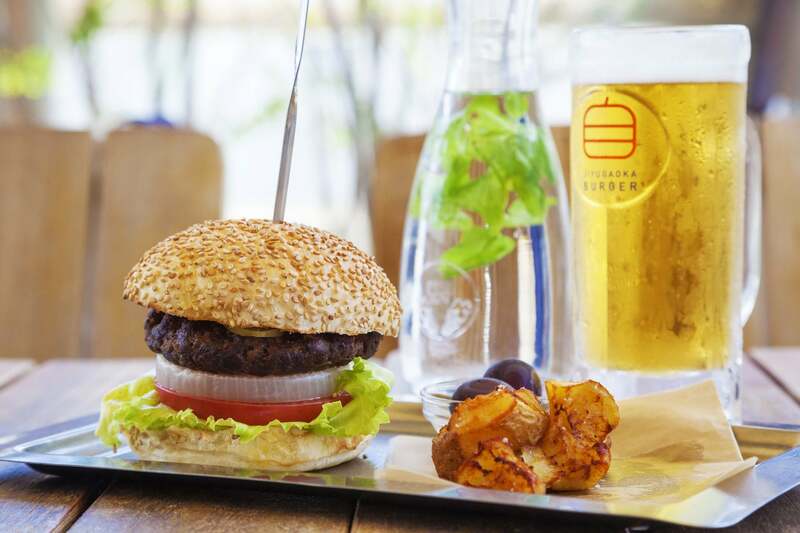 Check out their healthy hamburgers for yourself! Professional Sumo Wrestlers Team Up With Aoyama Gakuin to Bring Sumo to Aoyama!